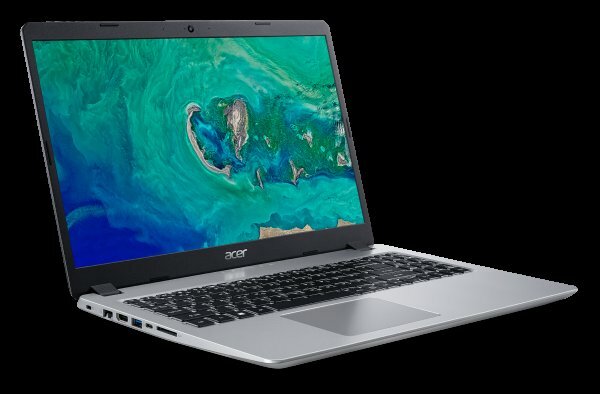 Acer India today unveiled the refreshed new thin and light laptops- 2019 edition Aspire 5s with 15.6 inch screen and Swift 3 with 14/15.6 inch screen. These laptops feature narrow bezel display for full cinematic experience and have metallic built. Aspire 5s – The Aspire 5 line has been updated with the latest Intel Whiskey lake 8th Gen Core i3 and i5 processor, one of the fastest U series Processors. With the Intel Optane memory and NVIDIA GeForce MX150 graphics, Acer Aspire 5s ensures that complex the task is completed within seconds. Aspire 5s has 15.6” FHD IPS display with ultra-narrow bezels for an immersive cinematic viewing experience. Acer BluelightShield reduces blue-light emissions to protect your eyes, while Acer Color Intelligence technology dynamically adjusts gamma and saturation in real-time for optimum screen-color and brightness. Plus, Acer TrueHarmony technology and optimized Dolby Audio deliver high-quality sound via the dual stereo speakers. It comes with Precision Touchpad which provides smooth navigation when browsing the web and using apps. It has LED backlit keyboard and includes ultra-fast 2×2 MIMO 802.11ac wireless technology, providing seamless connectivity. Swift 3 with 14 inch display edition – is powered by the latest 8th Gen Intel Core i5 CPUs 8130 U/8250U processors, up to 8GB of DDR4 RAM and up to 256/512GB PCIe SSDs. It has upto 12 hours of battery life. It supports Windows Hello through fingerprint readers for fast and secure logins; Skype for lag-free communication and Cortana for voice experience. On the connectivity front, it offers ultra-fast 2×2 MIMO 802.11ac wireless technology, providing seamless connectivity. The Swift 3 line has been updated with host of new features including Full HD 14-inch display with ultra slim bezels, and an all-day battery back-up of upto 12 hrs. The Swift 3 weighs only 1.45kg grams and measures only 18.7 mm thin. It also features Acer Color Intelligence technology for adjusting gamma and saturation in real-time for optimum screen-color and brightness. With Acer TrueHarmony technology and optimized Dolby Audio, this laptop is claimed to deliver high-quality sound via the dual stereo speakers. Swift 3 with 15.6-inch display edition has been upgraded with bigger cinematic display, slimmer bezels, Intel Optane Memory and Nvidia graphic card that offer seamless performance and immersive viewing experience. It is powered with 8th Gen Intel Core i5 CPU (8250U), NVIDIA GeForce MX150/MX130x graphics card for offering up to 4X faster performance over integrated graphics cards while Intel Optane memory increases responsiveness and load times. It also supports Windows Hello through fingerprint readers for fast and secure logins, Skype for lag-free communication and Cortana for voice experience. It also offers ultra-fast 2×2 MIMO 802.11ac wireless technology, providing seamless connectivity.